Orlando is united after the tragic Pulse Orlando Nightclub Shooting on June 12, 2016. 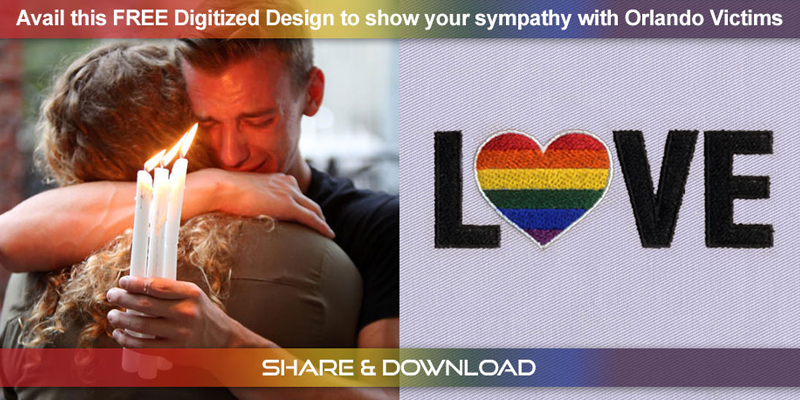 Orlando Free Embroidery Design is a tribute to all those 49 people who died in that tragic night massacre in the history of USA. This design shares the love for the families of those who have lost their beloved but still do remembers them in the prayers for their afterlife. I could not download the second or third download. This could mean you are only giving one free and that is understandable. I would like all three. Do you sell them? We are giving all of above design free of cost you don’t need to pay us just share them to any of above social network Like Facebook, Twitter, Google+ and send us that link where you shared are, so we will send them to you on your email address.